Our Car rental Fleet boosts of best car rentals in Uganda from Budget SUV’s, safari vans to Utilitarian 4×4 affordable rentals. We pride in a fleet of over 25+ vehicles with Toyota Rav4 being the many. 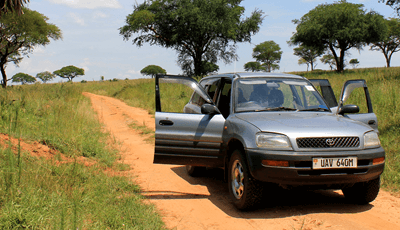 We provide some of the best car rental services in Uganda for self drive safaris and for business car rentals. We also do maintain and service all our cars every after each trip when they return and make sure you have just a perfect car for your adventure. Petrol car for hire, Full time 4W self drive Rav 4, 5 doors and seats 4pax max with enough luggage space. robust, Sturby and available for self drive chauffeur car hire services. 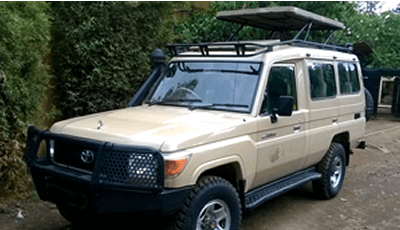 4×4 Toyota Landcruisers with pop-up roof, self drive Uganda cars for rough terrains. 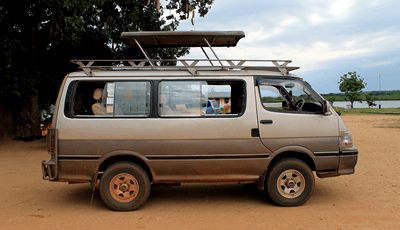 Petrol & carry 5 pax featuring great interior & enough luggage space. Available also for chauffeur car rental services. Tough utilitarian 4×4 land cruiser, sits 5 person, diesel usage, pop up roof for game viewing, High ground clearance and available for chauffeur/Guide driven services but still maintain your own pace as of self drive car rental. The Nissan Patrol is a tough Utilitarian vehicle with a tough 4×4 and high ground clearance. 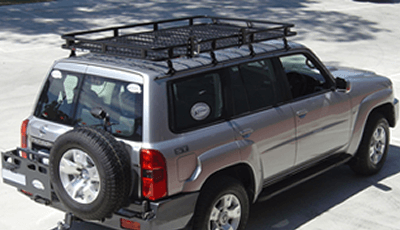 Features a roof rack, Sits 4 pax to max with enough luggage space. 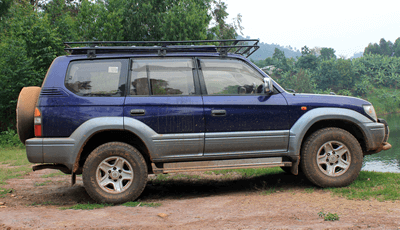 Available for self drive and chauffer driven car rental in Uganda and with a driver. Customized safari Jeep, Diesel Car, inbuilt freezer, Seats 7pax. 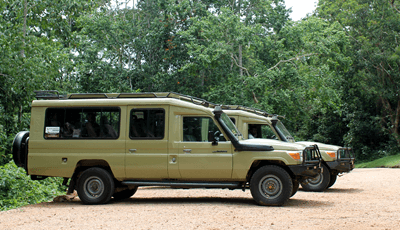 Suitable for family and available for group chauffeur driven safaris, Carries 8 persons with pop-up roof for game viewing and enough space for luggage.